Can Loan Modifications Cause Trouble Down the Road? RISMEDIA, January 19, 2010—(MCT)-The last thing many troubled homeowners want to hear is that they could be denied a car loan after they get a chance to modify their home loan. But credit scores can get dinged after a home loan modification, making it more costly or tougher to get a loan or credit card. Hundreds of thousands of homeowners find themselves in a financial squeeze, thanks to the recession and the meltdown in the housing market. 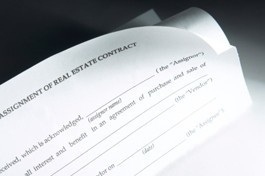 Lenders have offered trial loan modifications to more than 700,000 eligible borrowers. As of late November 2009, about 31,000 trial loans have been made permanent, which requires at least three on-time payments under the trial program and proof of income. What these troubled homeowners don’t realize is that these attempts to avoid foreclosure may result in their credit scores taking a hit. A potentially damaged credit score is one of those hidden costs of home loan modification—and it varies significantly depending on your lender, as well as when you received your loan modification, your credit history and how your loan was altered. “They need to tell people up front that this could happen,” said James Sperr, of Belleville, Mich. Sperr and his wife, Carol, received a trial modification that cut their house payment, including taxes and insurance to $957 a month from $1,140 a month. But it came with a hit to their credit score. “Our credit rating has gone from the 800s to 750,” Carol Sperr said. “It’s punitive to a consumer who is already scared, frustrated, mad,” said John Ulzheimer, president of consumer education for Credit.com. The Sperrs said they had never been late or missed a mortgage payment, but their bank had reported them as being behind on payments. Their credit score took a hit, falling from the 800s to 750. “They tell us that once the paperwork ‘catches up’ and the new loan is finalized, they will correct the credit reporting agencies,” Carol Sperr said. No one saw this coming. “I didn’t find out about our credit until they did a check on this van we bought,” James Sperr said. He said his wife was able to provide more documentation that their mortgage was in compliance so they did not have to pay a higher rate or get shut out of a loan. Others aren’t so lucky. Loan modifications remain a good thing, but they often come with that consequence. Homeowners who face hardships but cannot traditionally refinance their mortgages can try to get a loan modification. A modification temporarily reduces the monthly payment, which can be helpful if someone’s dealing with a pay cut. Typically, the principal amount owed on the loan is not reduced or changed and the amount of debt owed is not forgiven. The federal government has programs, and banks and credit unions have proprietary programs as well. Yet many homeowners feel blindsided when they discover that their credit score has dropped by 50 to 100 points or even more after they entered a trial modification. “What’s the point of the additional credit damage? What have they just accomplished by doing that to the borrower?” asked John Ulzheimer, president of consumer education for Credit.com. In the first few months after receiving a trial modification, Ulzheimer said, it is possible that the initial payments would show up as a “partial payment plan” on a credit report, which turns into a negative hit to a credit score. This can be a problem even for homeowners who never have missed a mortgage payment. “It really depends on how the mortgage company decides to report this to a credit agency,” said Julie Bos, group manager and certified credit counselor for GreenPath Inc. in Grand Rapids, Mich. A homeowner who is behind on payments will see credit score damage, and that won’t change from a modification. “If you’re already delinquent, your credit is already impacted,” said John Snyder, manager of foreclosure programs for NeighborWorks America. But consumers who are making their mortgage payments are getting modifications, too, perhaps because wages were cut or jobs were lost. They may be struggling to stay current, but their credit may not be bad when they start a modification. Some might argue that it’s not a wise move to take on more debt, such as a car loan, if a person saw a cut in pay and needed a home loan modification. But many consumers often cannot control when their car breaks down. On top of that, lenders benefit from home loan modifications because potential foreclosures can be avoided. Unknowingly though, many consumers discover themselves boxed in later when they try to get approved for credit. “They’re concerned about the damage to their credit. They’re not happy about it,” said Bos. “If you go out and try to purchase a car in two months, you could be denied,” she said. Or you might have to get a co-signer or put down a bigger down payment or accept a higher interest rate to get a loan. What’s even stranger is that not all home loan modifications will hit consumers in the same way on their credit reports. Consumers who modify their mortgages under federal programs, such as the Making Home Affordable and the Home Affordable Modification Program, now can do so without hurting their credit scores since those modifications are listed as a “loan modified under a federal plan” as of Nov. 1. Here’s the sticking point: If you are able to modify your loan through an individual bank or credit union’s program and not a government plan, it’s likely your credit score will be hurt. To complicate matters further, eventually a “loan modified under a federal plan” on your credit report could hurt your score, too. Ulzheimer noted that the only reason the new reporting guidelines do not damage your credit scores is because FICO, the company that created the FICO credit score, hasn’t had a chance to study the long-term predictive value of loan modifications to credit risk. Still, homeowners who are in trouble must realize that a foreclosure or a short sale would be listed as a charge-off or settlement on a credit report and last seven years, Ulzheimer said, while a modification would typically last a few years. If you do receive a loan modification, ask questions and be more careful about how you handle your credit elsewhere to try to combat any potential damage. Before making any moves, talk to a nonprofit housing counselor. (c) 2009, Detroit Free Press. Distributed by McClatchy-Tribune Information Services.